Free Shipping on all of our photo paper prints! 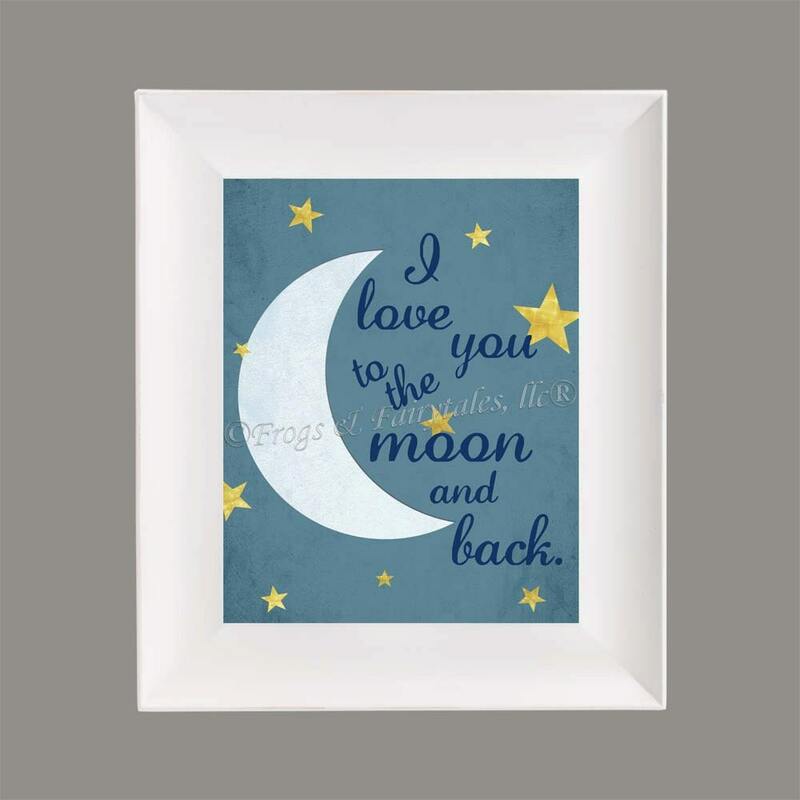 "I love you to the moon and back" This paper print would be great in any little one's room! 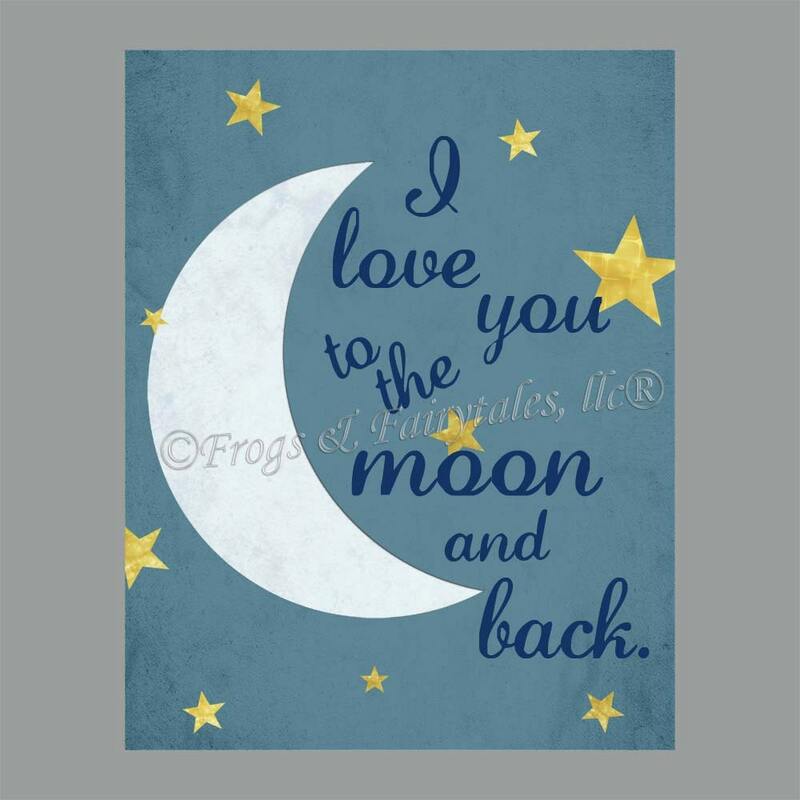 It features a moon with shimmery gold stars behind this sweet saying. Choose from 4 different sizes. Frame not included.